Evesham rower Alex Gregory who won a glorious gold medal at the Rio Olympics is to become one of the first recipients of a new Worcestershire award. To celebrate World Class Worcestershire www.worldclassworcestershire.co.uk those who have championed the county and have helped to raise its profile are to be presented with an award that's unique to Worcestershire. Rather than a blue plaque on the wall of his house or a gold painted post box, Gregory along with Paralympians Claire Cashmore and Lauren Rowles are to be the first ever people to be presented with their very own Worcestershire Black Pear Tree at the official awards ceremony at Evesham Rowing Club on Friday 28 October at 1:30pm. Gregory who won a gold medal, rowing in the men's coxless four for Great Britain at Rio said: "The support I've received from Worcestershire is not just a recent thing. I've been supported since first taking up rowing at Evesham rowing club 16 years ago. The journey has not been straight forward and through many difficult times the messages of support from people in the county have meant everything to me. Now I can repay that support with two Olympic Gold medals, a part of which belong to the people of Worcestershire. 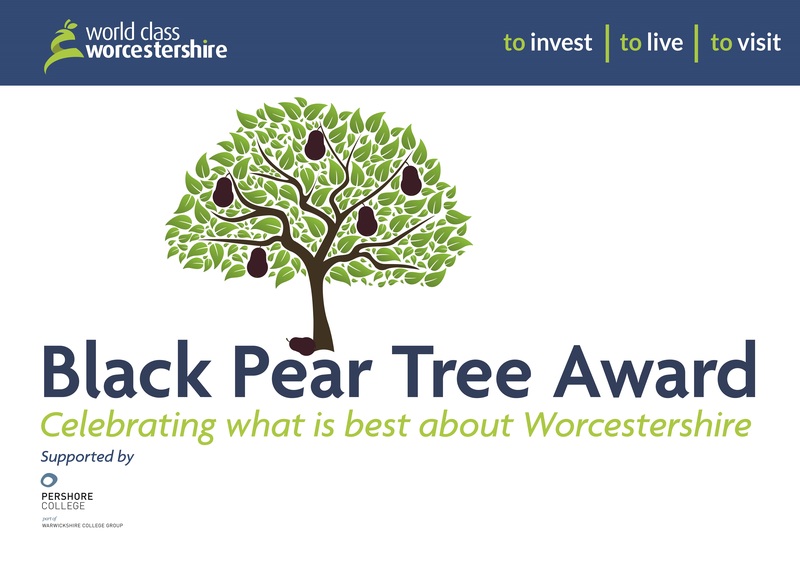 Thank you for the award, it's truly an honour to receive a Worcestershire Black Pear tree." Worcestershire County Councillor Lucy Hodgson, the Cabinet Member with Responsibility for Localism and Communities, is supporting the initiative. She said "Worcestershire is filled with local heroes and people who deserve to be acknowledged. Through this campaign we can celebrate them in a way that only Worcestershire can. Winning an Olympic Gold medal is an incredible achievement which makes Alex, Claire and Lauren the perfect people to pick up this award." More winners of the Black Pear Award will be named shortly. People can also nominate those who they think should receive this unique prize which is open to individuals, companies and to organisations who champion Worcestershire and represent the best of what this county has to offer. To make a nomination just visit the World Class Worcestershire website: www.worldclassworcestershire.co.uk and go to the Get Involved section.